Identity theft victims suffered more than $24.7 billion in direct and indirect losses in 2012 -- that's more than the combined $14 billion in losses consumers experienced from other types of theft (burglary, motor vehicle theft and other property theft) in the same period. The Bureau of Justice Statistics highlighted these and other staggering statistics in its 2012 Victims of Identity Theft report, which was released this month. About 16.6 million U.S. residents ages 16 and older were victims of at least one incident of identity theft last year. That's about 7 percent of the population in that age group, and they most often experienced misuse of existing bank and credit card accounts. That's a lot of fraud, and people usually don't spot it on their own. About 45 percent of identity theft involving existing accounts was discovered by financial institutions, who then notified the affected consumers. That percentage drops to 15 percent among victims whose personal information was used to open a new, fraudulent account, but 21 percent of those victims found out about the fraud when another type of company or agency reached out to them. And 13 percent of that victim pool found out when they received notice of an unpaid bill. Roughly 20 percent of consumers discovered their accounts were being misused by finding fraudulent charges on their statements, but the self-discovery rate is only 8 percent among other identity theft victims. While flying under the radar, the thieves defrauded Americans of billions of dollars. Last year, 66% of identity theft victims reported a direct financial loss from their most recent incident. On average, victims whose personal information was misused suffered direct losses of $9,650 (the median was $1,900). New account fraud victims experienced an average of $7,135 in direct losses ($600 median), and credit card fraud victims averaged direct losses of $1,003 ($200 median). The victim doesn't usually bear the brunt of those losses. Fourteen percent of identity theft victims reported out-of-pocket financial losses of at least $1, and nearly half of those costs amounted to less than $100. Of that 14 percent who lost money, 18 percent reported expenses of between $100 and $249, and for 16 percent of victims, identity theft cost $1,000 or more. Identity theft is a headache no matter what, but consumers can keep it from becoming a migraine by protecting their personal information and closely monitoring their existing accounts and credit reports. 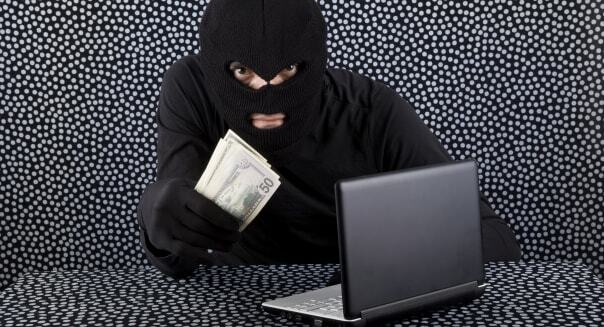 %VIRTUAL-article-sponsoredlinks%While most identity theft victims don't personally lose money, thieves can leave a trail of poor financial behavior under a victim's name, translating into negative accounts on credit reports and lower credit scores. Victims whose personal information was misused are more likely to experience financial problems such as dealing with debt collectors, repeatedly correcting credit reports because of identity theft than those whose existing account information is stolen, but victims of all categories may experience these issues. It can be challenging enough to build good credit without someone else coming in and wrecking it, so taking measures to protect yourself from identity theft is a worthy investment of time, and in some cases, money. Good credit scores will help you qualify for favorable loan interest rates and gain wider access to financial products, and those scores are based on financial matters conducted under your name and included on your credit report. That's why checking your credit report regularly is an important habit - financial institutions may be good at catching ID thieves, but if you can spot something amiss before they do, all the better. Consumers are entitled to free annual copies of their credit reports from the three major credit bureaus: Equifax, Experian and TransUnion. Credit scores can also help you spot suspicious activity. The Credit.com Credit Report Card is a free tool that allows consumers to receive monthly updates on their credit scores and the behaviors that determine them, such as timely payments. A sudden drop in your credit scores could indicate someone is misusing your identity. Data breaches have become a regular occurrence these days, and while such security mishaps are beyond your control, you don't want to make it easy for the fraudsters. Make sure to use secure WiFi when accessing sensitive information online, use available security measures like two-step account verification and strong passwords. Some good news: 86 percent of victims spend a day or less resolving financial and credit problems stemming from the fraud, though 10 percent spent more than a month doing so. Again, people whose personal information was misused experienced the biggest problems. It can be daunting to feel as if you're fighting against a phantom enemy -- 32 percent of identity theft victims knew how their information was compromised, but only 3 percent of credit card fraud victims knew anything about the offender. But the potential for financial problems after identity theft provide more than enough motivation for making security a priority.